In sparkling chrome or pitch black. Whichever way you look at it, if detailing your bike is important the smoothtopps system is not one to walk away from. 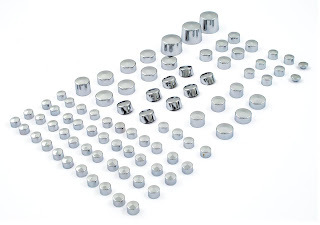 Easy press-fit installation, clamps like a pit bull and, some say, looks like a million bucks. 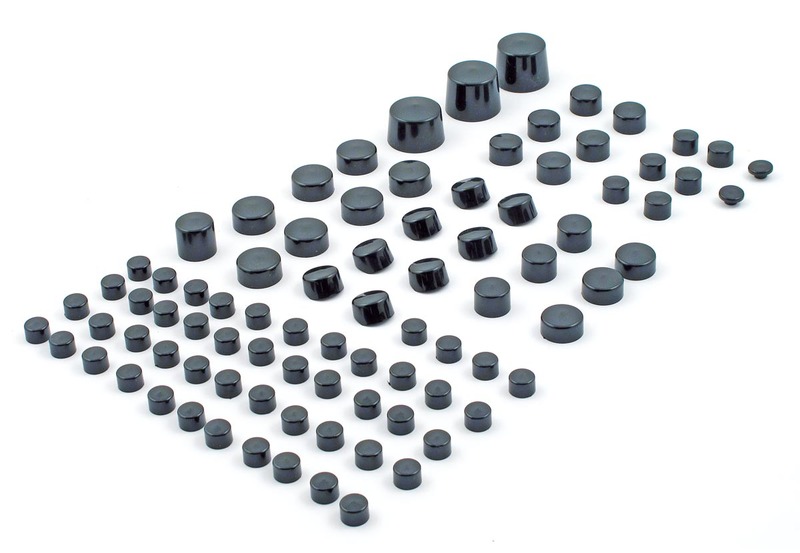 A set contains push-on plugs, in various diameters, to cover the bolts used in that specific application. You can get sets for many applications for a whole load of Harley models. However, if you're looking to detail just a part of your bike, individual covers are available as well. Contact your local Motorcycle Storehouse dealer to learn more. Come see Biltwell at Born Free 4! David Uhl and Uhl Works Designs "Loud & Proud"
Oude Monnink Moors gaat Opruimen!